The neighbours | I'm not weird, I'm just a limited edition! It started off as an empty stand and a few months later there was a fully constructed house. It was finished in a very short space of time. It was finished too fast according to the other residents of Lottenville Street. Lottenville is a fairly short street located on the edge of one neighbourhood and the beginning of another. It is scattered with potholes but that doesn’t affect the upkeep of the houses situated on the street. It is a street where everyone knows everyone. The newest family had moved onto the street about 5 years earlier so when the new house was built, everybody was intrigued about what the new neighbours would be like. They moved in quietly. Well, they tried to. It was the last weekend of August on a hot Saturday. The typical Saturday stillness was shattered by the sound of large vans – moving trucks. A few Lottenville residents walked over to the new house and introduced themselves to the new family. The husband, Mr Mangombe, was very agreeable. He conversed with everyone there. His wife on the other hand, was different. She seemed anxious, nervous almost and it was coming across as up-tightness. She greeted her new neighbours and walked into the house and never came out again for the rest of the afternoon. After that Saturday, one rarely saw the new neighbours. The husband’s car would be spotted on some weekends but not all so we figured he must work out of town. Life continued as usual on Lottenville Street. 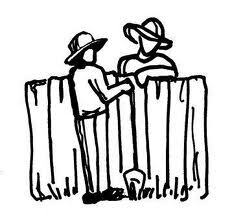 Children went to school, parents went to work and gardeners gossiped over the fence. so, have you see the new maid at number 11? One Sunday many months later, I was taking a leisurely stroll in the neighbourhood. As I neared the Mangombe’s house I heard raised voices. I slowed down. I could make out a few phrases here and there. “Imba yangu iyi………. ibva pano!” *This is my house, get out! Another voice, a lady’s shouted even louder. “Imba ndeyako asi……………………” *The house is yours but…. A man’s voice was also heard. “Aiwa, musa……………………..” *No, don’t…. “Iwe Johni, nya……………… yatangwa newe!” *John, ……. started by you! The shouting continued for a few more minutes then suddenly a window smashed. The front door to the house burst open and John ran out with a lady hot on his heels. “Martha, Martha, calm down please!” John yelled. She was brandishing a mugoti (wooden cooking spoon). The lady we all knew as John’s wife also followed. Now all 3 were standing outside. “Nhai John, ndizvo zvaungandiita here (John, how can you do this to me)?” tears streamed down Martha’s face. “It’s over John!” said Martha and she walked away got into her car and drove off leaving nothing but a trail of dust in the air. It turns out John was married and the lady staying on our street was his mistress. His wife had found out and she had confronted them and I was lucky enough to witness it all and relay it to the rest of the street. me, telling the rest of the street what went down! Lottenville sounds like an exciting place to live! poor mrs Mangombe.